In 1864, the 110 foot schooner, Col. A.B. Williams was lost in a storm while carrying a full load of coal. 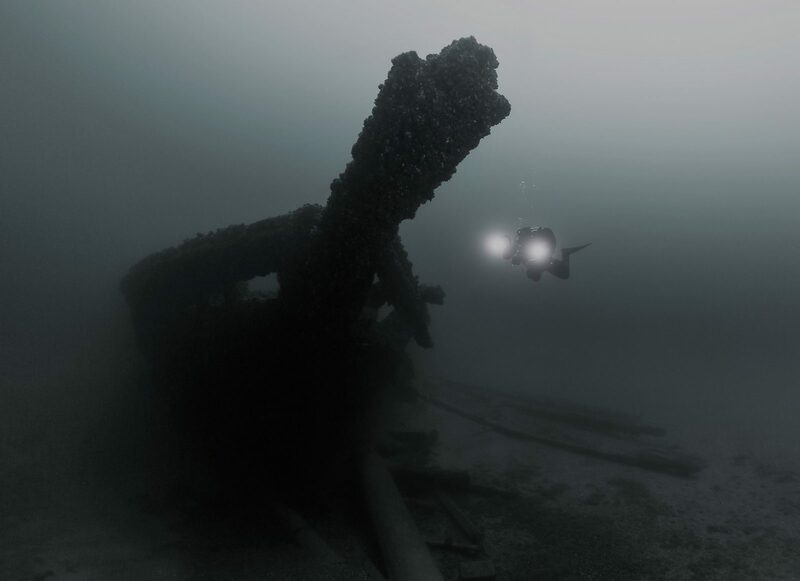 Often credited with being the oldest known shipwreck in the Port Sanilac area, she lay dormant and undiscovered on the bottom of Lake Huron until nearly a century later. Discovered by a group of divers in 1957, she sits upright at a depth of 84 feet. Her hull is mostly intact with the exception of the stern. Prior to laws being passed prohibiting salvage from wrecks, her large stock anchor was removed by parties unknown. At her moderate depth and condition, the Col. A.B. Williams is a great wreck for the intermediate to advanced diver to explore. We visit the Col. A.B. Williams from Port Sanilac on the Go-Between regularly.